New figures from IDC and Juniper Research show worldwide growth in smartphone shipments for Q3 2015 with the top 5 manufacturers in another game of musical chairs. 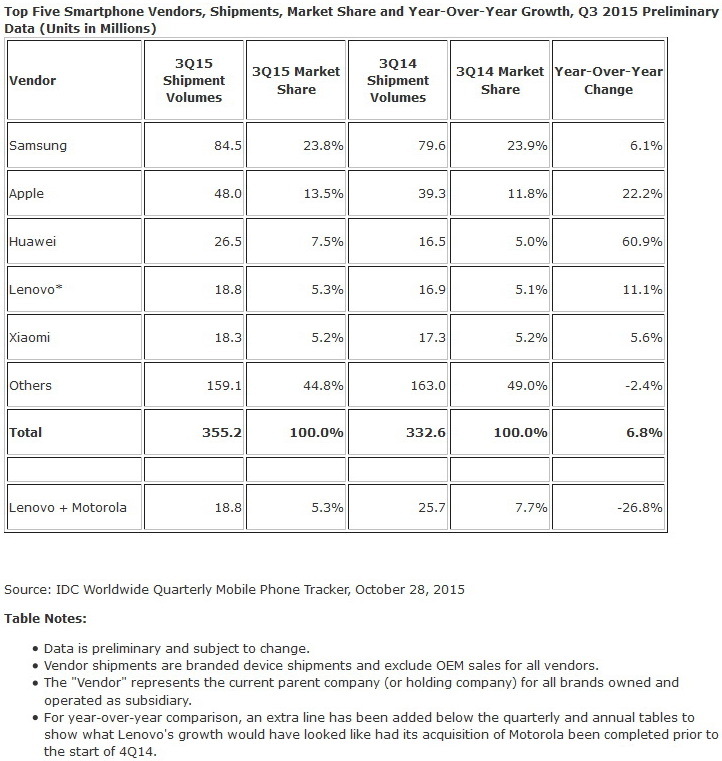 The smartphone business is dominated once again by Samsung in terms of total shipments. BlackBerry, HTC, and Microsoft are expected to make appearances on the next list due to the the impending launches of the PRIV, Aero, and Lumia 950 flagships, respectively. IDC numbers show a total worldwide shipment of 355.2 million smartphones in Q3 2015 representing an increase of 6.8 percent compared to 332.6 million units shipped in Q3 2014. Juniper Research data tell a similar story with 342.5 million units shipped during Q3 2015 representing an 8.4 percent increase YoY. Both analytic firms agree that Apple is the clear winner during the past quarter. High sales figures for the iPhone have boosted Apple closer to Samsung in the top 5 rankings. IDC estimates that Samsung was able to sell around 84.5 million smartphones compared to 48 million iPhones in Q3 2015. Huawei is trailing in third place with its extraordinary performance from just 16.5 million smartphones shipped in Q3 2014 to 26.5 million shipped in Q3 2015. 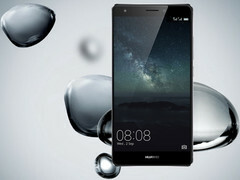 Juniper Research claims that the shipment numbers from Huawei may be even higher at 27.4 million units instead. Lenovo and Motorola have been more aggressive compared to previous years. The Chinese manufacturer managed to ship 18.8 million smartphones compared to 18.3 million from Xiaomi and is now listed as one of the top 5 smartphones manufacturers worldwide. As for other smartphone makers, Microsoft saw a decline in sales of about 38 percent YoY with a shipment volume of just 5.8 million units. Asus was able to expand its smartphone business and ship 6 million units during the third quarter compared to <1 million devices from BlackBerry.